The Listed Buildings report certainly suggests the bridge could be medieval, in terms of its present structure, although from the description it could range in date from the 15th to the 18th century. 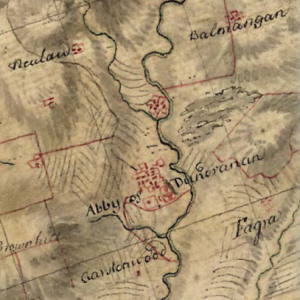 William Roy’s map(1750) has no evidence of it, whatsoever – and indeed no roads in the vicinity of the Abbey. It may have been part of the Abbey estate and thereby missed by Roy’s surveyors. The fact that Bridgend is not there is perhaps a give-away. Roy included lots of Bridgends. 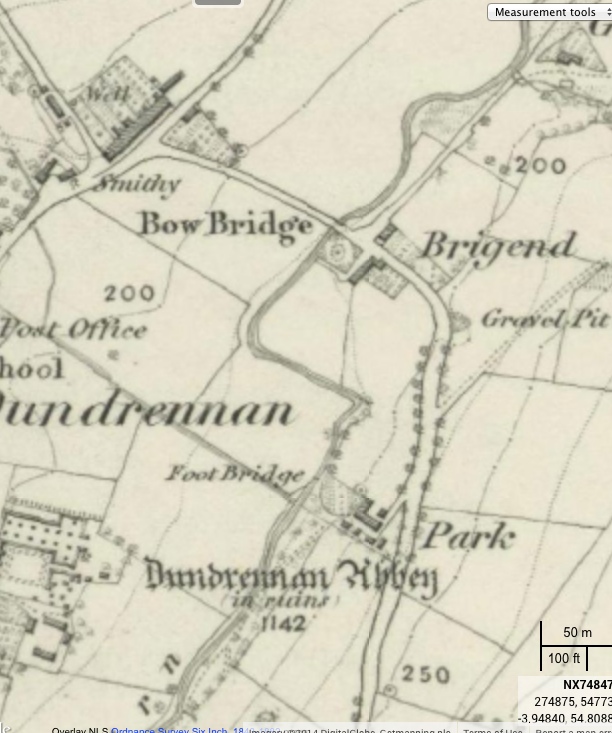 The first edition OS ( c 1856) calls it ‘Bow Bridge’ and clearly at the settlement of Bridgend. 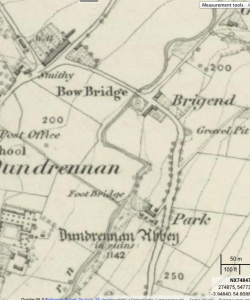 The body of evidence would suggest a more recent date for the little bridge. More likely late 18th century though nothing is certain with these old structures and it often comes down to a balance of evidence.